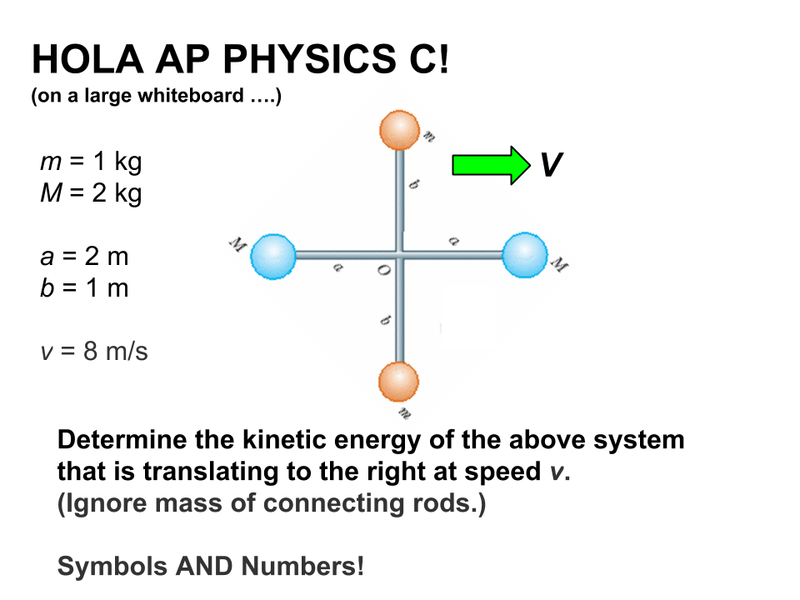 Determine the rotational inertia of a bowling ball using 2 different and independent methods. Click for other years and link to the activity. 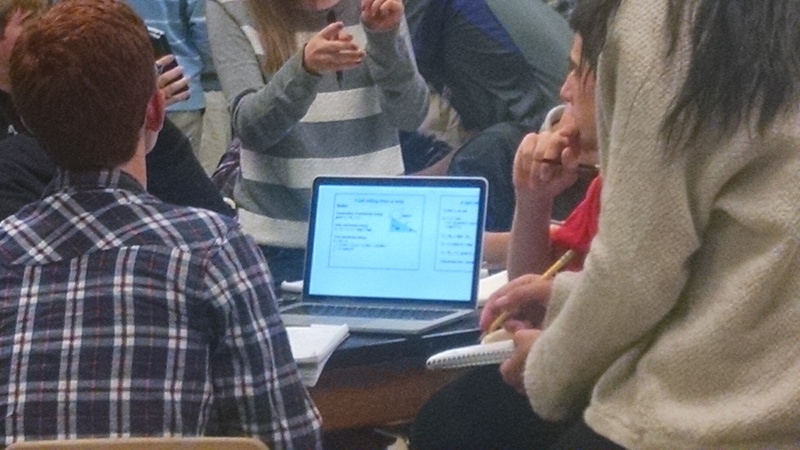 Physics teacher Dan Hosey shared his class’s results today. I like how they use rods to drop both rolls simultaneously! 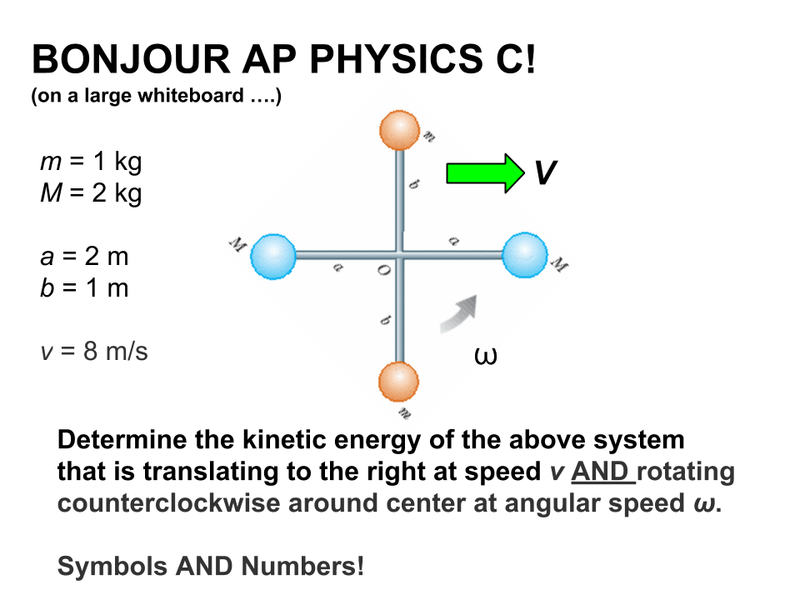 AP Physics C: Today we derived the formula for rotational kinetic energy and showed that the total kinetic energy is simply the sum of the transnational and rotational energies. We teased out the relationships by analyzing the following 3 problems. #2. This one is easy. #3. 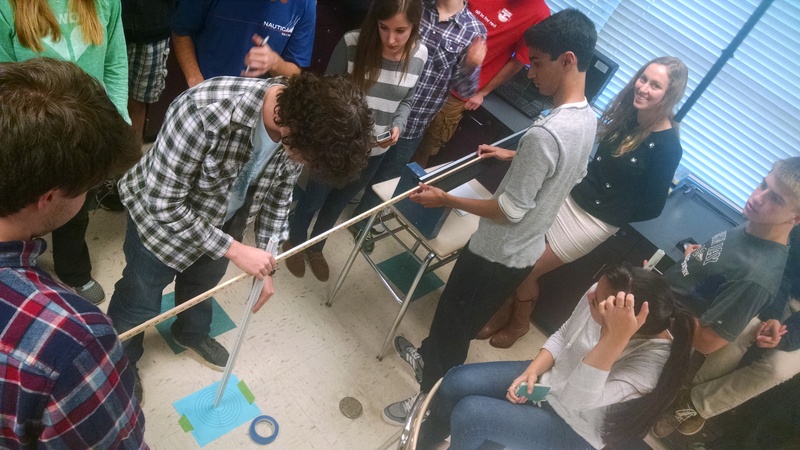 For this one, they had to figure out the net velocity of each sphere. The orange ones were easy. The blue ones were trickier (2D vectors!). 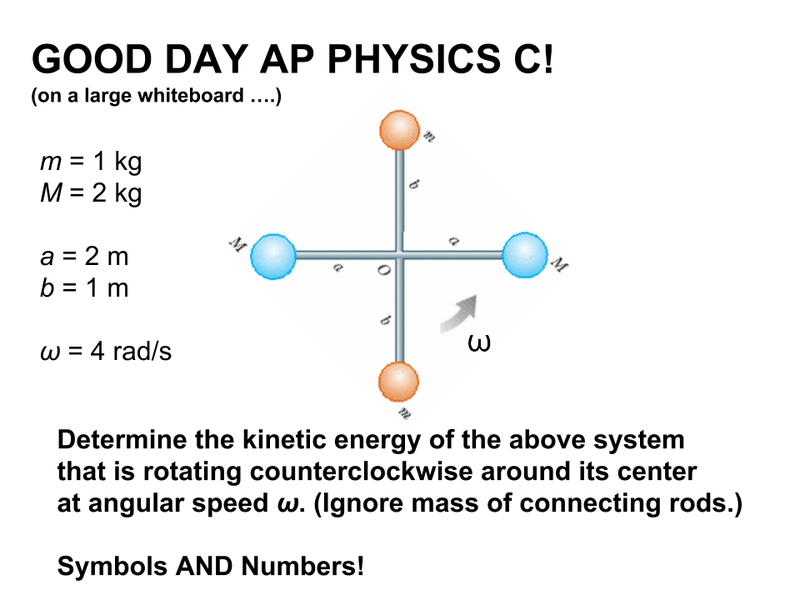 And low and behold … all that crazy work to work out #3 turned out to yield the sum of #1 and #2! 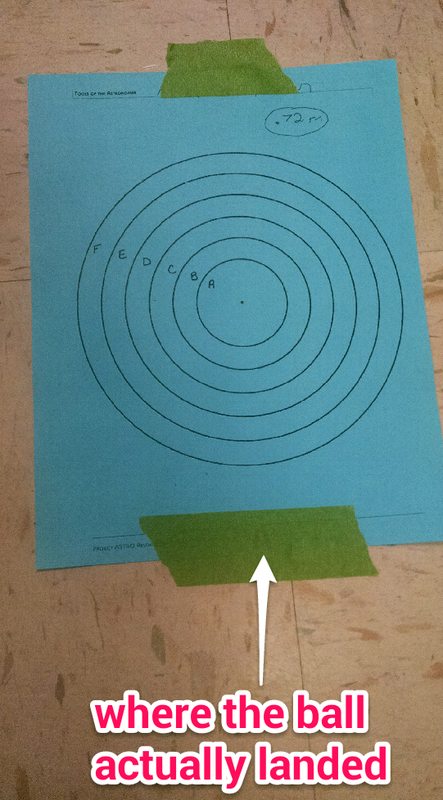 After taking measurements and grinding through their calculations, they put their target on the floor and held their breath as the ball rolled down and off the ramp. Yep. They were off by about half a length of paper. So I rolled a few other things off the ramp. The first being 3 steel balls of different sizes (front row in picture below). And the all landed in exactly the same spot as the original ball. It was really amazing. 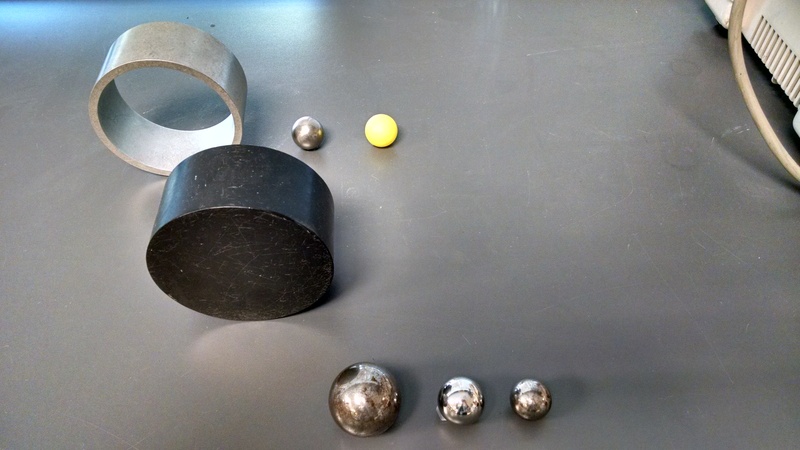 Then I rolled one of the hollow metal balls (back row, center). And it landed shorter. Still short. Then I rolled the hollow yellow ball and the ring. Both short. Then I rolled the black disk. That landed between the other landing points. Now everyone is thoroughly perplexed. I love rotation!